Our best seller by the bag, we hand make each Itty Bitty Bone, loading it with peanut flour and chunks of roasted peanuts. 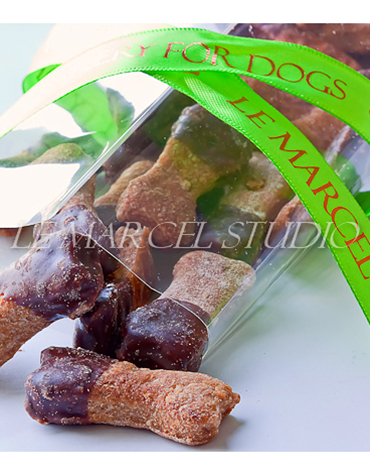 Then, we dip each in carob and tie it with a signature Le Marcel ribbon. These actually fly off the shelves.